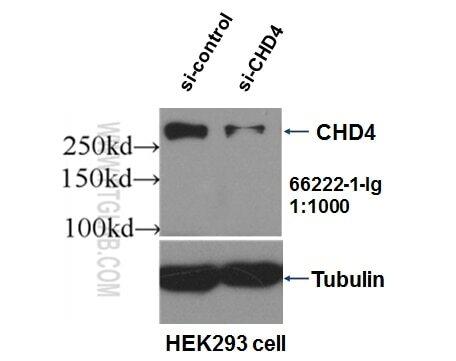 WB result of CHD4 antibody (66222-1-Ig, 1:1000) with si-Control and si-CHD4 transfected HEK293 cells. 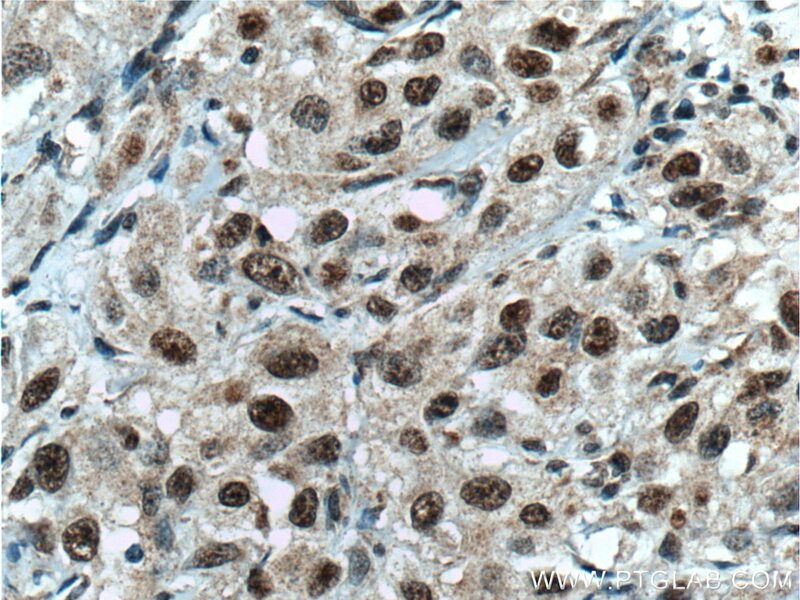 Immunohistochemical analysis of paraffin-embedded human cervical cancer tissue slide using 66222-1-Ig( CHD4 antibody) at dilution of 1:200 (under 40x lens) heat mediated antigen retrieved with Tris-EDTA buffer(pH9). 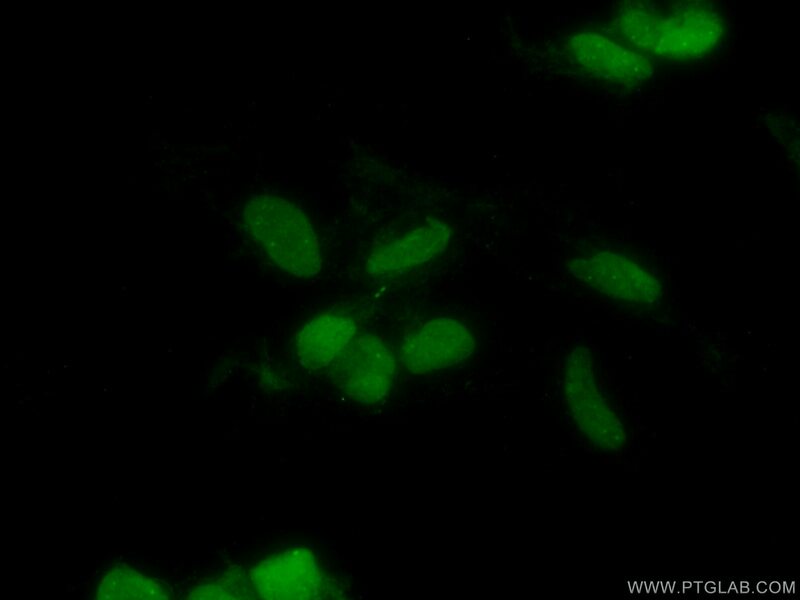 Chromodomain helicase DNA-binding protein 4 (CHD4) is an ATP dependent chromatin remodeler and a major subunit of the repressive NuRD complex [PMID:9790534]. This complex plays key roles in transcriptional regulation and reorganization and maintenance of chromatin structure, as it targets pericentromeric heterochromatin and has recently been implicated in DNA damage repair, being rapidly recruited to DNA double strand breaks [PMID:17694084]. CHD4 is a novel BRIT1 binding partner that regulates the HR repair process, which is a critical pathway of repairing DNA double strand breaks and plays an essential role in maintaining genomic integrity [PMID:22219182]. The calcualted molecular weight of CHD4 is 218 kDa, but modified CHD4 is about 250-280 kDa. 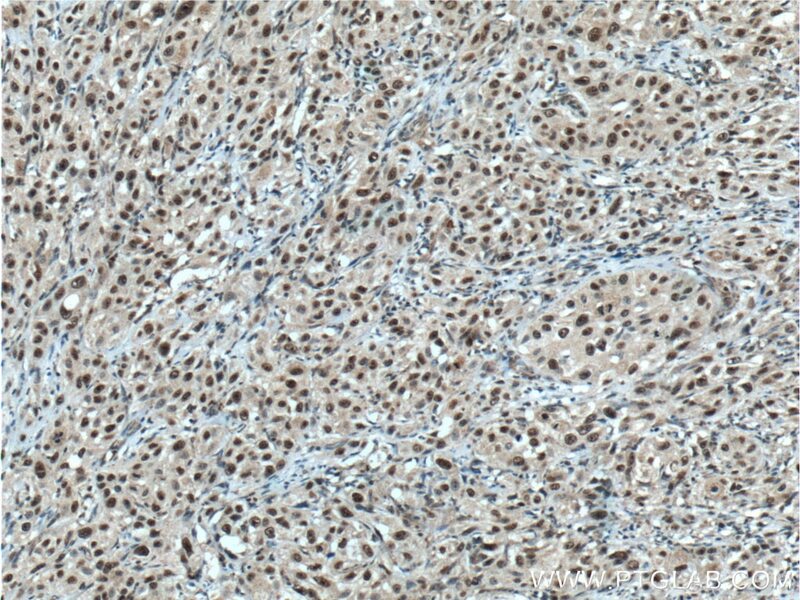 Immunohistochemical analysis of paraffin-embedded human cervical cancer tissue slide using 66222-1-Ig( CHD4 antibody) at dilution of 1:200 (under 10x lens) heat mediated antigen retrieved with Tris-EDTA buffer(pH9).